The nineteenth and early twentieth centuries brought into being many new building types and radically transformed other existing ones. Many of these have received little attention before and this book brings together eight examples, all of them revealing interesting stories from the byways of architectural history. All of these studies result from pioneering work during recent years by scholars working for English Heritage and independently. The building types in question form an extraordinarily varied collection which throws light on the way the Victorians lived, worked and played. 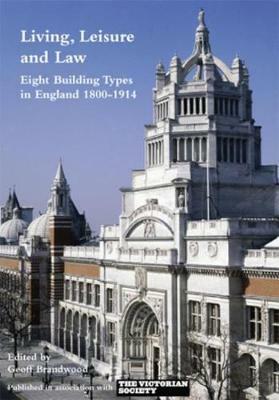 The volume covers buildings of the Temperance movement; boathouses; accommodation for working women; police stations and magistrates' courts; motor houses; museums and galleries and post offices.